Nave Newell is currently working with The Shelter Group on a new senior living facility in Wayne. 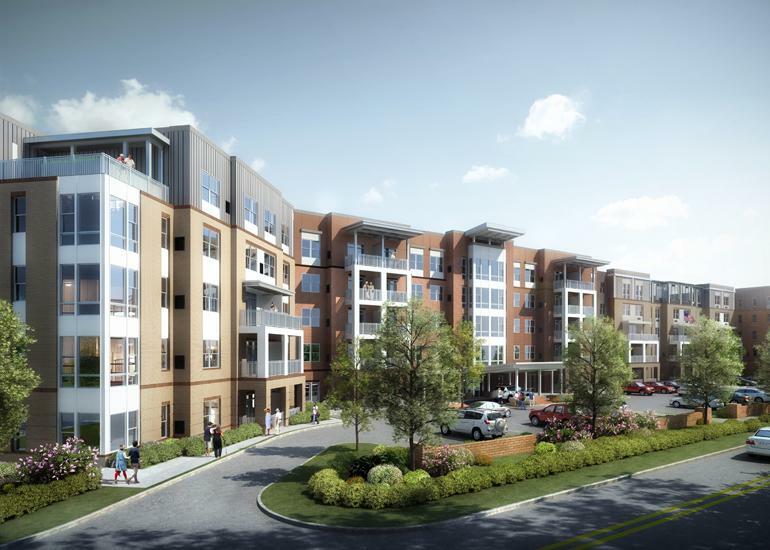 The project includes redeveloping a 2.75 acre commercial property along E. Conestoga Road into a 193-bed Brightview Life Care Facility which will provide multiple lifestyle options including independent apartment living, assisted living and memory care facilities. Sustainable features incorporated into the design include a green roof and a roof trellis garden and as well as pedestrian-oriented streetscape, walkable to nearby shopping with new streets lights, landscape and seating. 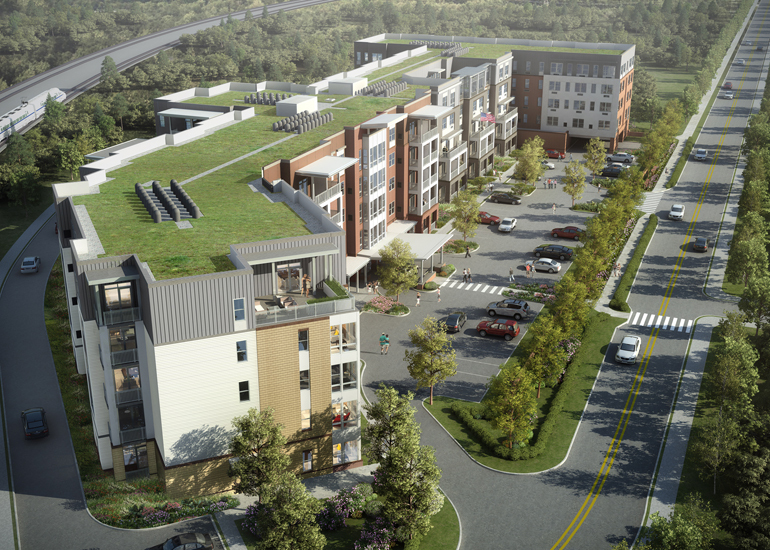 Given the complexity of both site and building programs, Nave Newell worked closely with Shelter to develop site plan options to meet their needs. Once complete, Nave Newell then provided expert testimony before the Tredyffrin Township Zoning Hearing Board in order to make way for the 5-story building. While the site is less than 3 acres, the combination of a fully programmed site and poorly drained underlying soils, made site grading, stormwater design and water-quality improvements challenging. The incorporation of a 26,600 sf green roof enabled Nave Newell to secure both Township and DEP stormwater, grading and NPDES permits. Our landscape architects designed an independent living garden to create a sense of community and encourage interaction between residents. The garden includes a bocce court, fire pit, pergola, outdoor seating, planting table and a perennial herb that’s used by the chef. The project received Final approval from the Township in March, and construction has subsequently commenced. ← What’s up with the pond at Haverford College?